Each of these words imply a requirement of G-d, but how are they distinguishable in meaning? 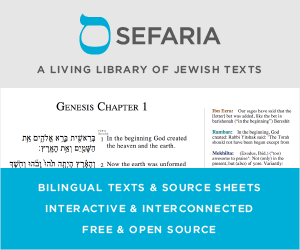 What resources are helpful to understand how these and other words are understood in Tanach? Instructions or doctrines. The historically revealed ideas concerning God, the world, the mission of humanity and of Israel, not as mere doctrines of faith or science, but as principles to be acknowledged by mind and heart, and realized in life. Judgments. Statements of justice towards creatures similar and equal to yourself, by reason of this resemblance and equality, that is, of justice towards human beings. Arbitrary statutes. Statements of justice towards subordinate creatures by reason of the obedience due to God; that is, justice towards the earth, plants, and animals, or, if they have become assimilated with your personality towards your own body and soul. Commandments. Precepts of love towards all beings without distinction, purely because of the bidding of God and in consideration of our duty as men and Israelites. Symbolic observances. Monuments or testimonies to truths essential to the concept of the mission of man and of Israel. These testimonies are symbolic words or actions which bear a lesson for the individual Jew, collective Israel, or mankind in general. Service or worship. Exaltation and sanctification of the inner powers by word-or-deed symbols to the end that our conception of our task be rendered clearer, and we be better fitted to fulfill our mission on earth. His discussion of the commandments in Horeb is also split in to these categories. Not the answer you're looking for? Browse other questions tagged words torah-study tanach .